What's old is new again for the Joe Gibbs Racing Toyota/Yamaha team this year, as we hear Justin Brayton and Josh Grant, who were teammates on the squad in 2010, have rejoined the team for 2013. Rare is it that a rider returns to a team he once rode for. And we can't even think of a team bringing back two former riders at the same time! How rare is the return policy in this sport? Let's explore it in The List! 12. Jeff Emig: Fro was a factory Yamaha rider from 1991-1995, when he won his first pro races and titles. He then went to Kawasaki and won some more before getting fired for a drug arrest. 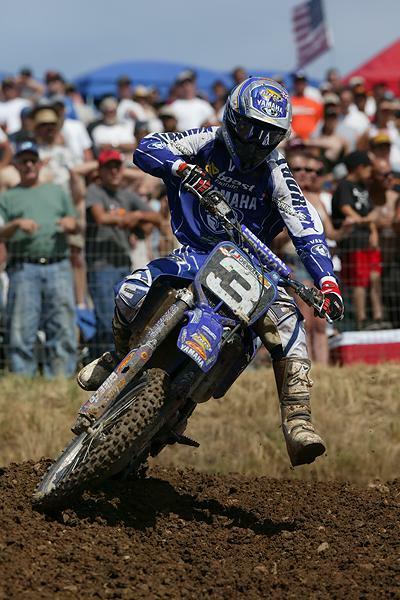 He returned in 1999 on an FMF Yamaha, and that's where he won his last major race ('99 U.S. Open). Emig planned to race the 2000 season on a Yamaha, but injuries ended his run. Keep in mind, though, that Emig's Yamaha plan was built around his own team, not a return to the factory squad. 11. Bob Hannah: He was a Suzuki support rider in 1975, riding for DG, when Yamaha tapped him. He would end up back on Suzuki, with the factory team, in the late '80s as his career wound down. His last big win was the '87 Motocross of Nations on an RM125. Hannah rode the rest of his career out on the RM 250 through the late '80s. 10. Kyle Chisholm: At first glance, you might not even realize the connection here. 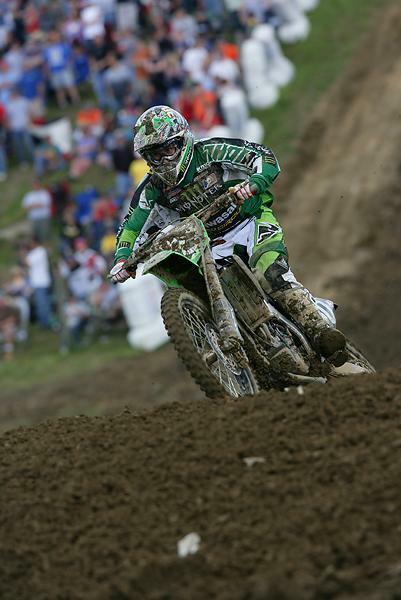 Chiz rode for L&M/San Manuel Yamaha in 2009, and then with Jeff Ward Racing Kawasaki in 2012. But despite the name change, L&M and JWR is actually the same team behind the scenes. 9. Valentino Rossi: Okay, okay, it's not even the same sport, but it's still worth noting that the seven-time MotoGP Champion is returning to factory Yamaha for 2013. He rode for the squad from 2004-2010, and spent the last two seasons with Ducati. It's not motocross, but it's still rare and very big news within the industry, so we're just gonna' put it on this list here. Don't freak out. 8. Tommy Hahn: Wil Hahn rides for the GEICO Honda/Factory Connection team now, but Tommy rode for them back in 2005 and 2006 (brothers who raced for the same team? Sounds like another idea for The List!). Tommy got the bump to factory Team Honda in 2007, and five years later, rode for them again this summer as a replacement rider. upcoming season, filling in as a replacement rider for Payton's PC team. 6. Ivan Tedesco: Hot Sauce rode for Monster Energy Pro Circuit Kawasaki from 2004-2005 and delivered a bunch of wins and titles for them. He ended up back on the team this summer as a replacement rider. 5. Damon Bradshaw: He was Team Yamaha's ultimate prospect, and rode for the team from 1988-1993 before retiring from racing. Then he returned to the team from 1995-1996, but in the meantime the bikes had gone from white to blue. He then went to Manchester Honda, where he won a single national in 1997, then eventually worked his way back to Yamaha (still blue) for an AX ride in 2002. That ended when he badly broke his leg. 4. Jeremy McGrath: MC's parting of ways with Team Honda in December of 1996 was one of the biggest bombshells ever dropped on the sport. They did not split amicably! Yet after a brief run with Suzuki, a longer and more successful tenure with Yamaha, and even a stint with KTM, MC came back to the Red Riders in 2004. At first, it was just for a testing role, but Jeremy had so much fun riding that he decided to race parts of the 2005 and 2006 AMA Supercross Championship. racing a 250 in supercross and 125 in motocross. 3. Marty Tripes: He went back and forth to so many teams that it's hard to keep count, but he really ended his best days on Team Yamaha in the early '80s, which is the team he won the 1972 Superbowl of Motocross with. In between, he also came and went and came back again to Honda as well! 2. Larry Ward: Larry Ward seems to show up on The List quite often, but we'll say it again: Big Bird had one of the most unique careers of any rider ever. He rode for Team Suzuki in 1990-1991, but got demoted to a Suzuki support program for 1992-1993. Back in those days, a rider who lost a factory ride was said to never get another shot, and indeed Ward, despite superb results for both Noleen/Sizzler Yamaha and Honda of Troy for the next five years, usually got the cold shoulder from the factories. 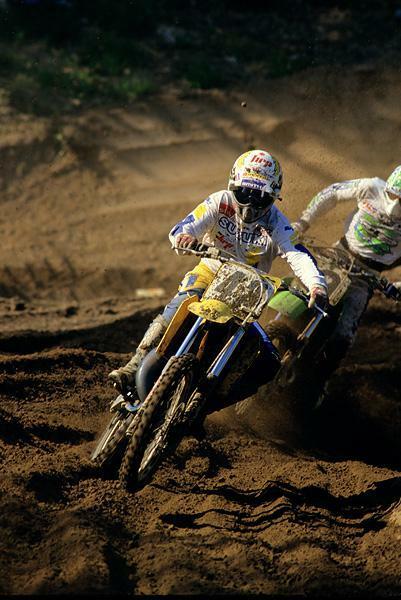 Then Roger DeCoster knocked on his door for 1998 and 1999, with, yes, Team Suzuki again! 1. Mike Brown: Seriously, it seems like Brownie had about 17 different rides on versions of Yamaha/Honda of Troy. Even we can't quite keep count, as the team went through many mutations over the years. 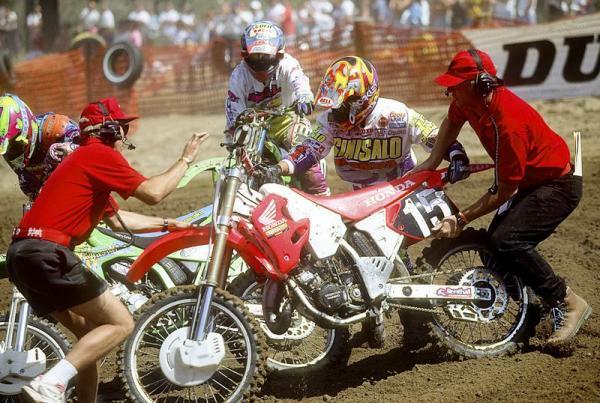 Brown rode for Honda of Troy from 1994-1996 before pointing out of 125 SX, and heading to the GPs in 1997. But he returned to the U.S. and HoT in 1998, before heading back to the GPs for 1999. Five years later, he found himself back on the Troy team in 2004, but by now they were Yamaha of Troy--and Brown won his final National MX race with the team at Red Bud that year. For good measure, Brownie even returned to YoT as a replacement rider for a few races in 2008, making for FOUR runs with this team. Brown also raced for the first Pro Circuit team (Peak Pro Circuit Honda) in 1992. Nine years later (2001), he was back on the team, by then called Pro Circuit Kawasaki. We're guessing Brown can write a book about how to not burn bridges. forget his return to Pro Circuit for his 125 motocross champioship as well.